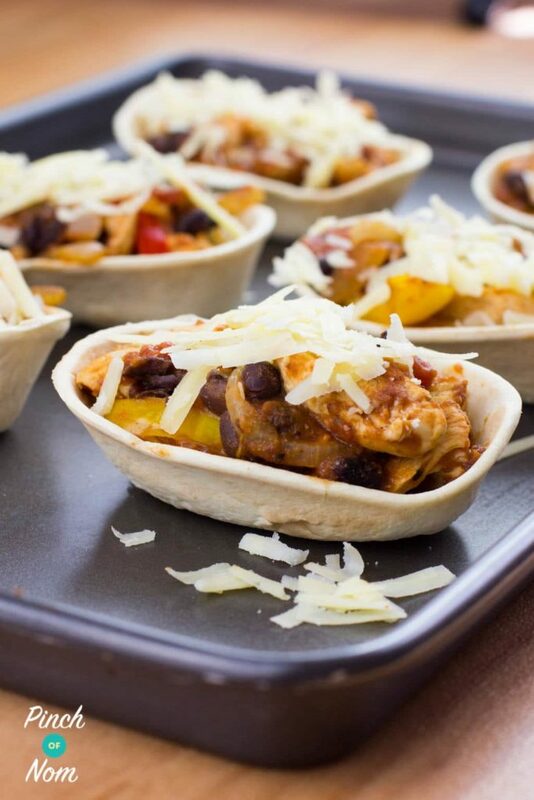 These Low Syn Chicken and Black Bean Mini Tortillas are ideal to satisfy your tortilla cravings. We’re huge fans of tortillas, but, as with lots of our favourite things they’re not too Slimming World friendly, and the syns soon add up. 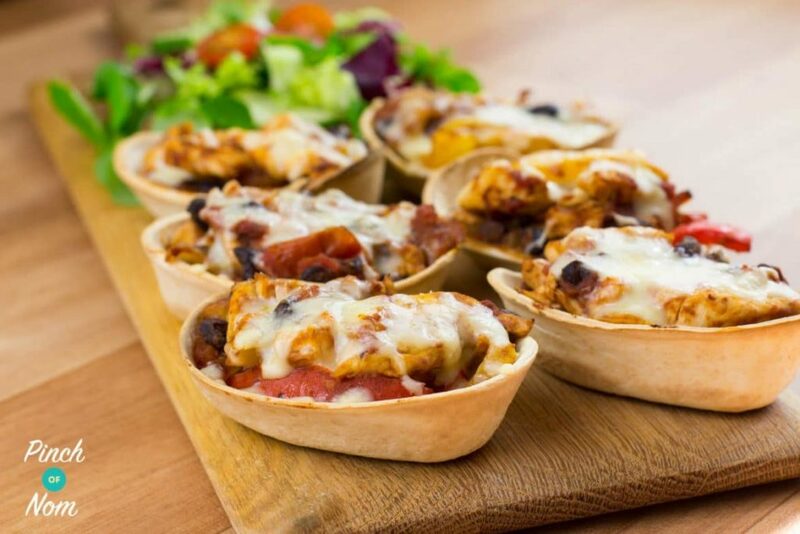 The Old El Paso Stand ‘n’ Stuff Soft Mini Tortillas we use in this recipe are perfect for recreating a traditional stuffed tortilla without using a load of syns. The Old El Paso Stand ‘n’ Stuff Soft Mini Tortillas were launched back in August, and at only 2 syns per tortilla you can’t really go wrong can you? You can have 2 of them for less syns than a regular sized tortilla! They may be small, but you can pack them full of free food to make a super filling meal. And as Old El Paso themselves say, they have all the flavours of the original range – just in mini portions! You can buy them in most major supermarkets for around £2. You get 12 in a pack so that works out at only pennies per tortilla. Economical for your pocket as well as your syn count! 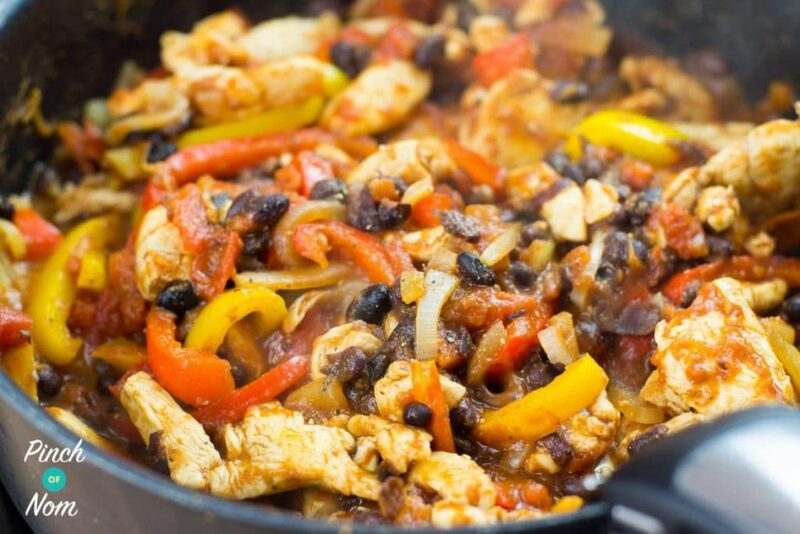 You may have noticed that we haven’t specified a portion size for this Low Syn Chicken and Black Bean Mini Tortillas Recipe. We’ve counted it per individual tortilla, so you can have as many as you want, just add the syns up accordingly. There are 2 ways to syn this. You can either syn the reduced fat cheddar or you can use it as part of your 2 HEA allowances. We’ve used it as part of the HEAs here, but if you would rather syn it then it works out at just under 1 syn per 5g. So you will have to need to work it out depending on how much cheese you use for each tortilla. If you use it as part of your HEAs you can have as much or as little as you want as long as you don’t go over your HEA allowances. There’s also a few different spices in this recipe. We know everyone has a different ‘spice tolerance’ so the quantities aren’t set in stone. If you like things quite mild then you can decrease the quantities slightly. However, if you have an asbestos mouth you can add as much as you want! The important thing about this is the seasoning. Add some Sea Salt and Freshly Ground Black Pepper before you let it simmer. Then check it again when it’s cooked and adjust accordingly. As with the spices, the amount you add is just down to personal preference. This recipe makes quite a lot! So if you don’t use it all in one sitting you can freeze whatever is left for another day. Whenever we need to replace oil in cooking we use Frylight. Perfect for everyday frying and cooking, it delivers exactly one calorie per spray, which makes it Syn free! 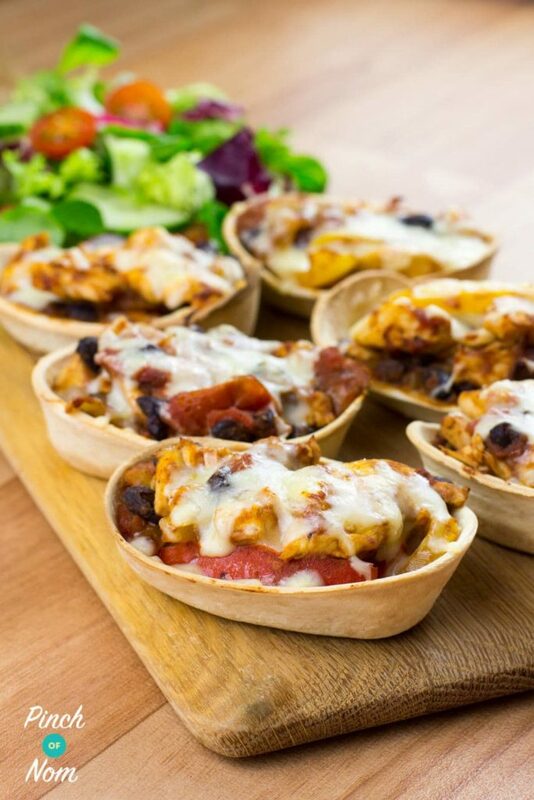 The Sunflower or Coconut Oil flavours are ideal for this Low Syn Chicken and Black Bean Mini Tortillas recipe. Remove from the oven and enjoy! But be careful they will be very hot!! Had these for my dinner tonight super easy to make and absolutely delicious. So good am having them again tomorrow night. Definitely recommend trying them. Made these tonight and they’re a win from the family! Used kidney instead of black beans, but other than that followed the recipe to a T and was really happy with it. Why is this in an SP day menu? 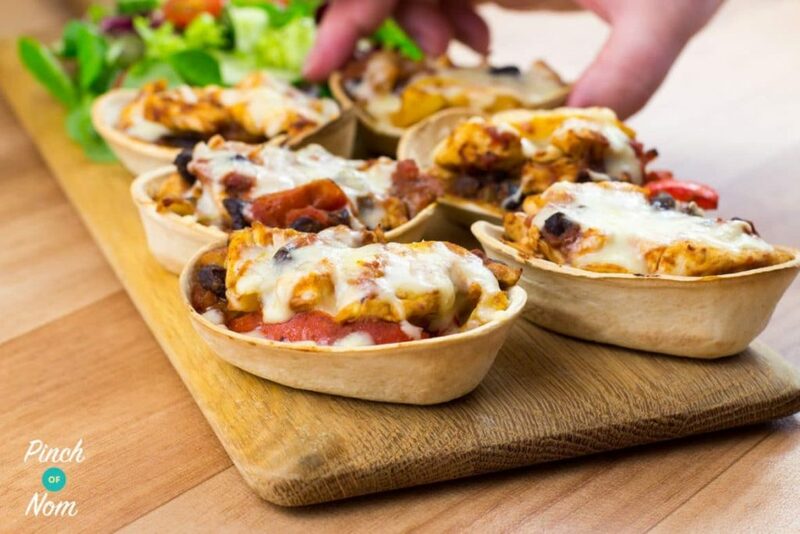 Tortilla boats are carbs!? You can have 5-15 Syns on an SP day, the same as a normal Extra Easy day.